Property owners – especially businesses and those open to the public - have a legal responsibility to maintain a safe property for those who enter. However, that does not mean that every time a person slips and falls on site that a personal injury lawsuit is warranted. 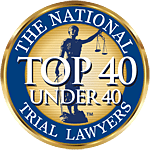 At Associates and Bruce L. Scheiner, Attorneys for the Injured, our premises liability attorneys in Southwest Florida recognize there are so many factors that must be weighed in determining liability. Technically, almost anyone can file a lawsuit for slip-and-fall injuries, but the case won’t make it to the trial phase unless certain criteria can be met. Deficiencies will most likely prompt the defendant/property owner to move for summary judgment as a matter of law, which, if granted, will mean the end of a case. Over the last decade, it has become increasingly more difficult to establish liability in Florida slip-and-fall cases. This is in no small part due to incessant lobbying by the business industry to limit the circumstances under which they might be held responsible. In particular, the passage of Florida Statute 768.0755 in 2010 was seen as a major blow to injured plaintiffs. But the shifting tide could be seen several years prior. In 2001, in the case of Owens v. Publix Supermarkets, Inc., the Florida Supreme Court ruled where a plaintiff slips and falls on a transitory foreign substance on defendant’s business property, a plaintiff need only establish he or she fell as a result of a transitory foreign substance, at which point the burden of proof shifted to the defendant to prove that it exercised reasonable care under the circumstances. Because property owners are in a better position than patrons to establish whether they did or didn’t regularly keep the property in a safe condition, as well as to figure out what really happened, they should bear the greater burden of proof. Those with corporate interests were incensed, and in turn, pushed for legislative action. In response, the state Legislature enacted Florida Statute 768.0710 in 2002, which shifted the burden of proof back to the injured party, requiring them to show the owner or operator acted negligently in failing to use reasonable care. It effectively negated the Owens ruling. At that point, the fact of actual or constructive knowledge or notice of the transitory foreign substance was not a required element of proof, though it was to be considered. But business lobbyists didn’t stop. They continued to press for higher burdens of proof, and in 2010, the Legislature repealed Florida Statute 768.0710 and replaced it with Florida Statute 768.0755. The law now requires plaintiffs to prove actual or constructive knowledge of a specific hazard before a claim can move forward. Proving actual knowledge means showing business supervisors or staffers were actually aware of a specific danger, either because staffers created the hazard or because customers complained about it or because staff discovered it. Constructive knowledge, meanwhile, is proven through circumstantial evidence. It may show the hazardous condition existed for such a length of time that the owner should have known about it in the exercise of ordinary care or that it occurred with some regularity, and therefore the company should have foreseen it. Because of these changes to the law, property owners have less incentive to negotiate a settlement prior to trial, believing they now have a stronger chance of summary judgment. At Associates and Bruce L. Scheiner, Attorneys for the Injured, we are committed to fighting for a just outcome for those we represent. Did any other third parties not controlled by defendant play a role in causing the hazard? Were there any posted signs, barriers or announcements that warned plaintiff of the danger? Was the danger open and obvious to the point the plaintiff could have and should have recognized and avoided it? Did the hazard (or failure to warn of it) directly cause the plaintiff’s injury? Again, the fact that a customer slips and falls is not enough to stake claim to compensation. Negligence on the part of the property owner must be proven.